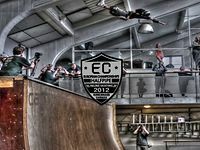 Contest: European Championships halfpipe inline. 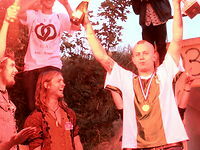 Date: 10, 11, 12, 13 August 2012. Filmed by: Bart Visser, Daan Hammerstein. Music: The Roots - How I Got Over - The Fire. Special thanks to Pavel Mitrenga for searching the right hostel. James Elms for picking us up from the plane and for being are personal guide. Jonas Torsbjerg Thomsen Møller for having some great late night session in skatepark Hall12. Yusuke Aihara for being acting like a bird! It was a amazing experience for all of us! See ya next year!